The Kuretake Zig 2 Way glue pen meets all of your paper crafting needs. The glue is blue when wet and dries clear. For a permanent bond, attach your papers and other items while the glue is still wet. If you just need a temporary bond, apply the glue lightly and use it after it dries. The glue is acid-free and xylene-free. 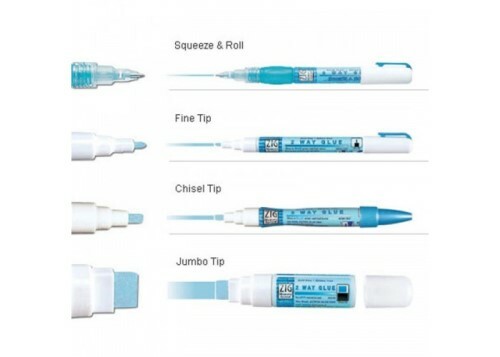 Available in a chisel tip or fine tip, this glue pen offers endless creative possibilities. Glue photos and decorative papers into your scrapbook, create dazzling greeting cards, apply glitter to paper or plastic, or embellish your giftwrap!